Well the chicken won out. I put the meat in the freezer for another day. Dinner was a hit. But I did make Zucchini and Parmesan Balls. They were super fast to put together. Even though I took the easy way out last night I did roast the sausage, peppers and onions. When Chris got home tonight he added some Marinara sauce and heated the pan up in the oven. 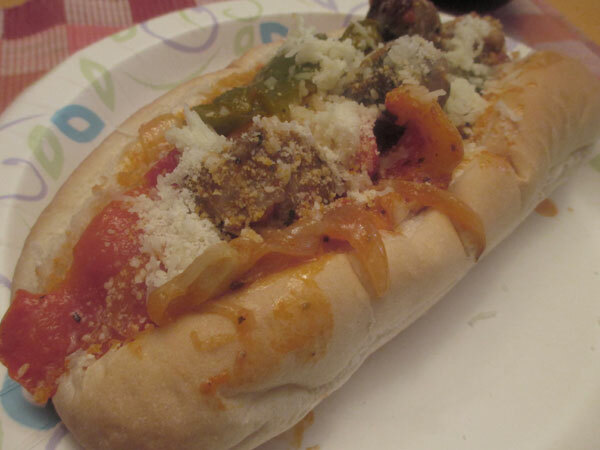 Sub rolls and a little cheese on top was all we needed. I did not know the story of St. Lorenzo. It is profound, since the people he presented are the true wealth of the church. 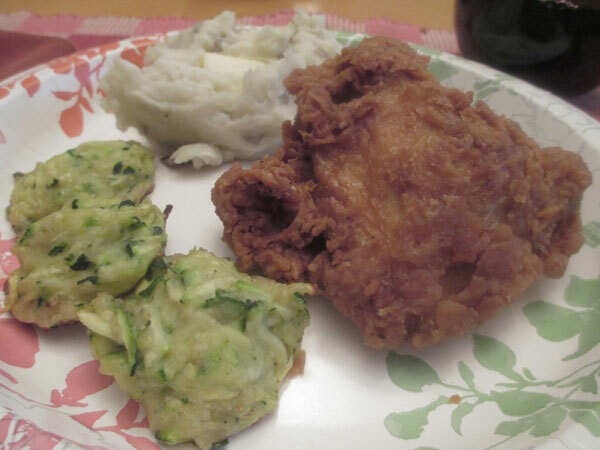 Sometimes the enticing aroma of the fried chicken will get you and you must give in! 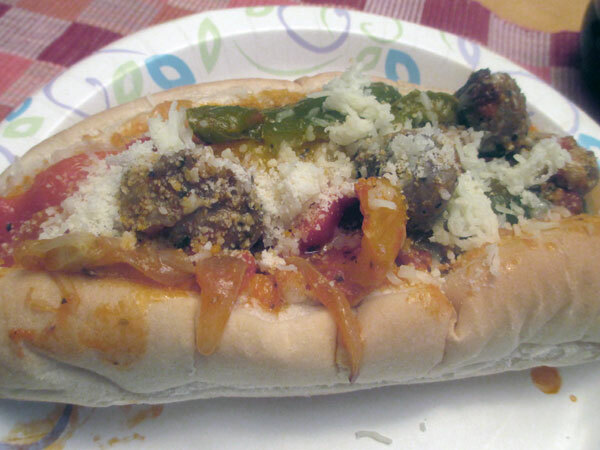 The sub of sausage and peppers is a favorite. p.s. You may brine the chicken breast too, though I would cook it in the oven so that it will stay moist. It will still get a crispy skin.